I have been asked to make a birthday cake from a friend of mine. The theme for this cake is Hollywood. I wanted to make a video of the process of making a fondant cake for those who want to know what goes into making a fondant cake. Hope you enjoy these videos. This first video is how to make Barvaian Cream filling. This next video is how I make fondant for my cakes. Here is another part of the cake. These are made with gumpaste. I colored the gumpaste with black food coloring from Wiltons. 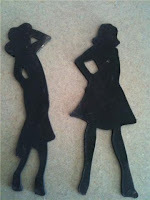 I made a stencil from my Cricut and used an x-acto knife to cut these out. These will be on the very top of the cake. 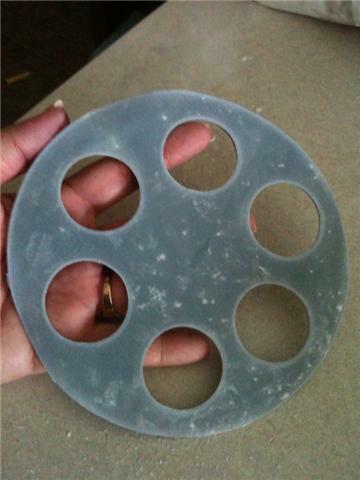 Also, I made a movie reel. You will understand how they will be incorporated into this Hollywood cake soon. TFS! You cake is just stunning!